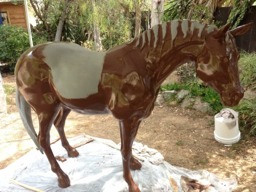 This was a commission for an art collector client of mine. 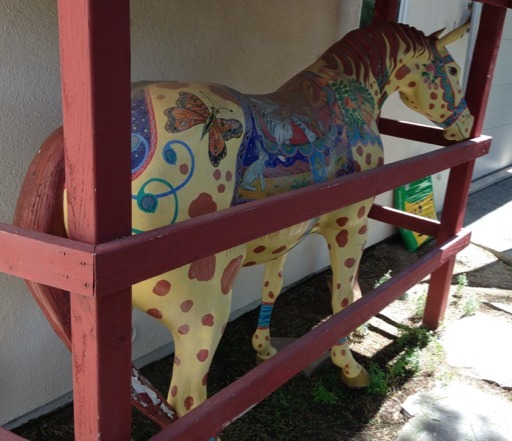 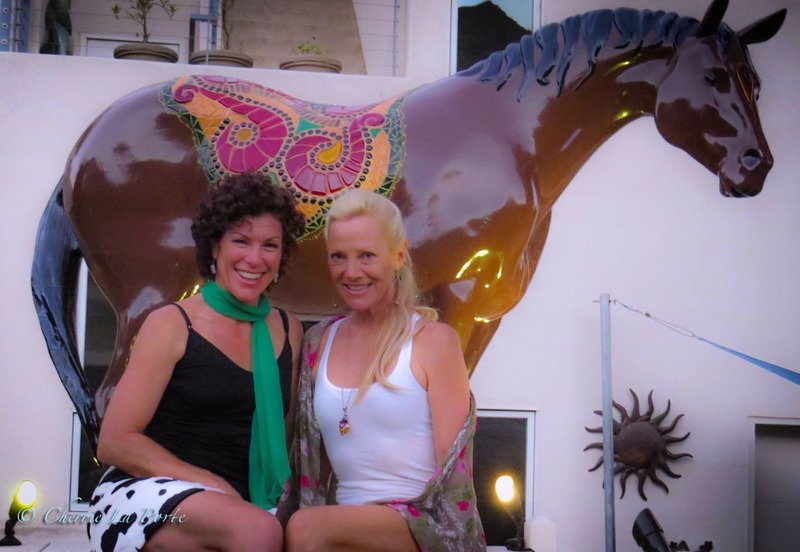 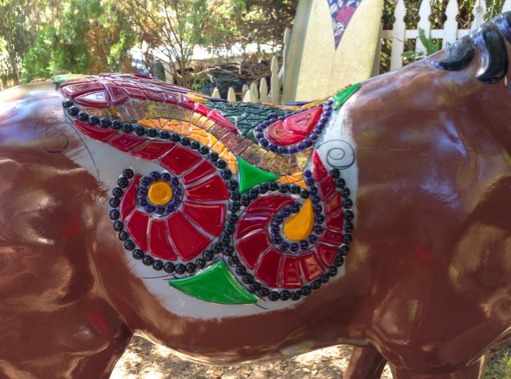 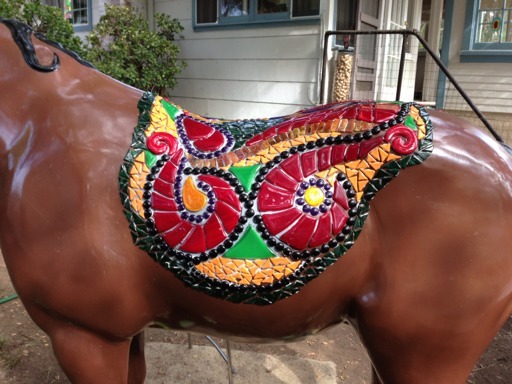 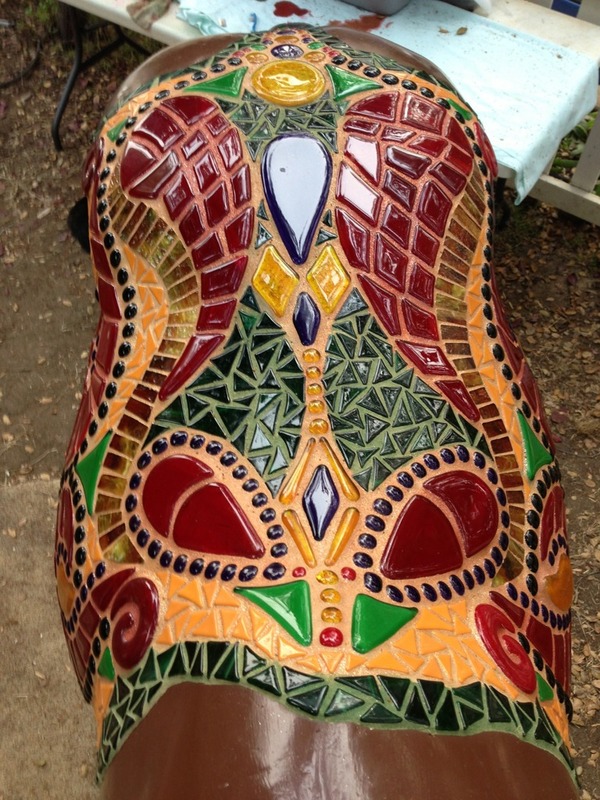 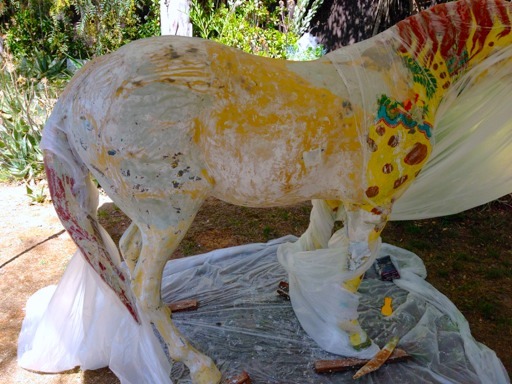 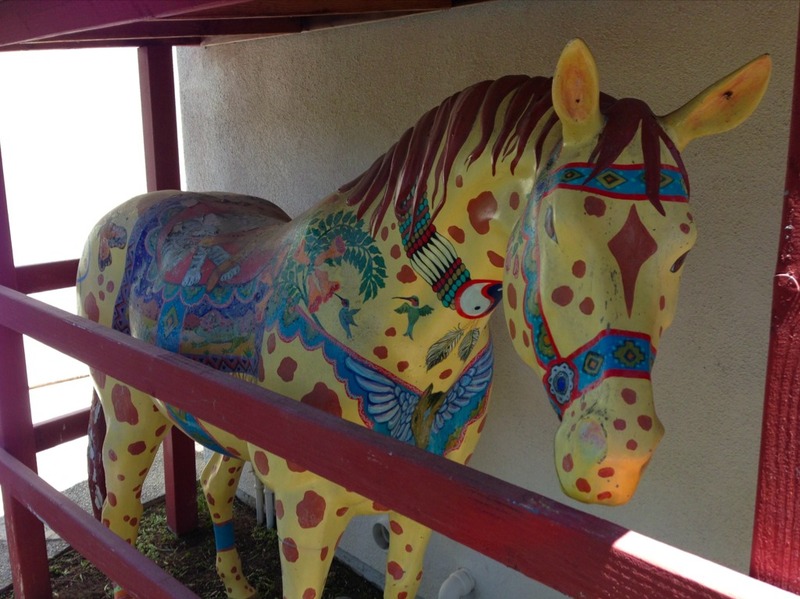 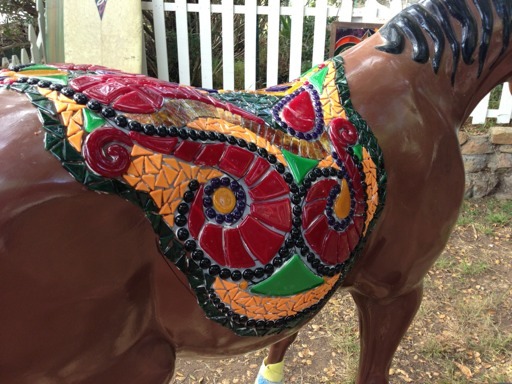 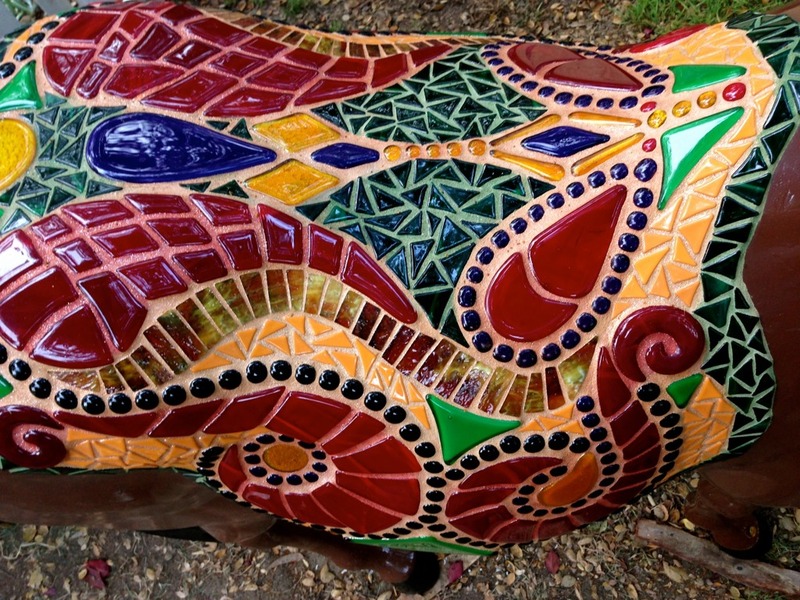 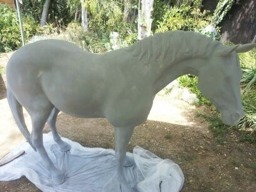 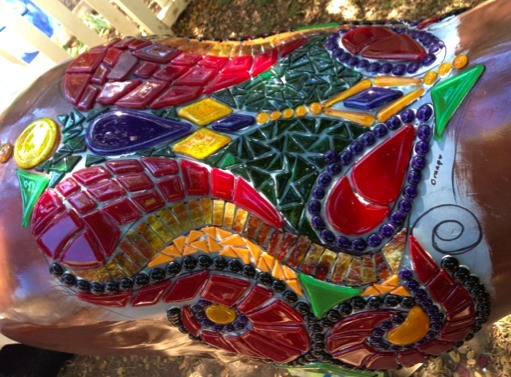 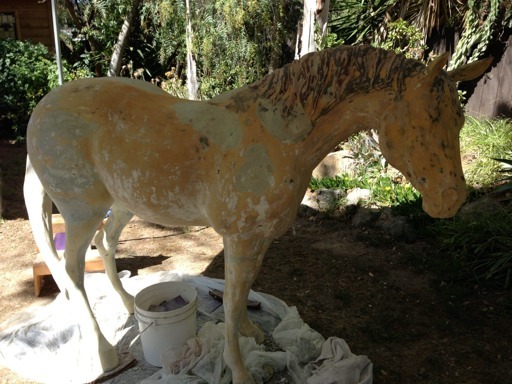 The idea was to take this unique painted full size horse sculpture that they had bought at an auction over 15 years ago, and transform it into a reinvented mosaic glass sculpture. 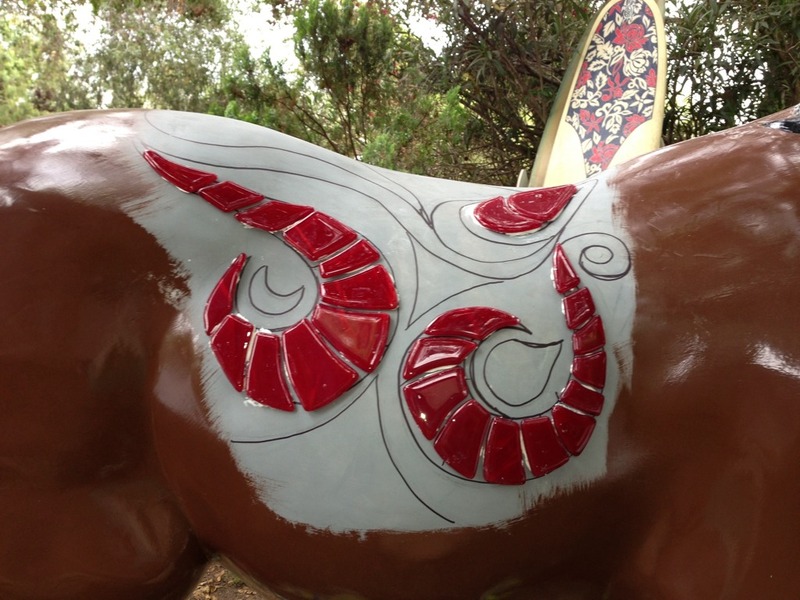 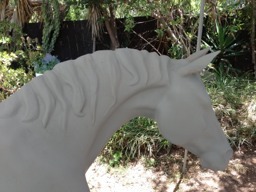 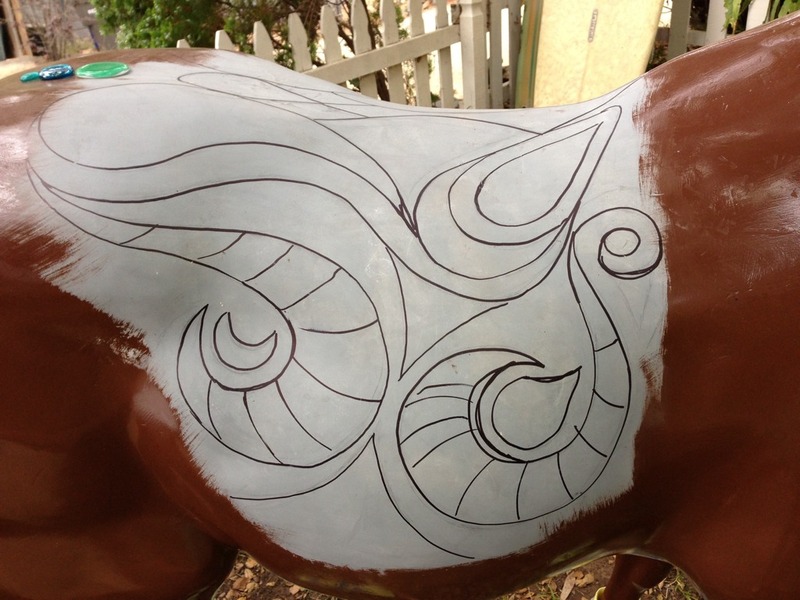 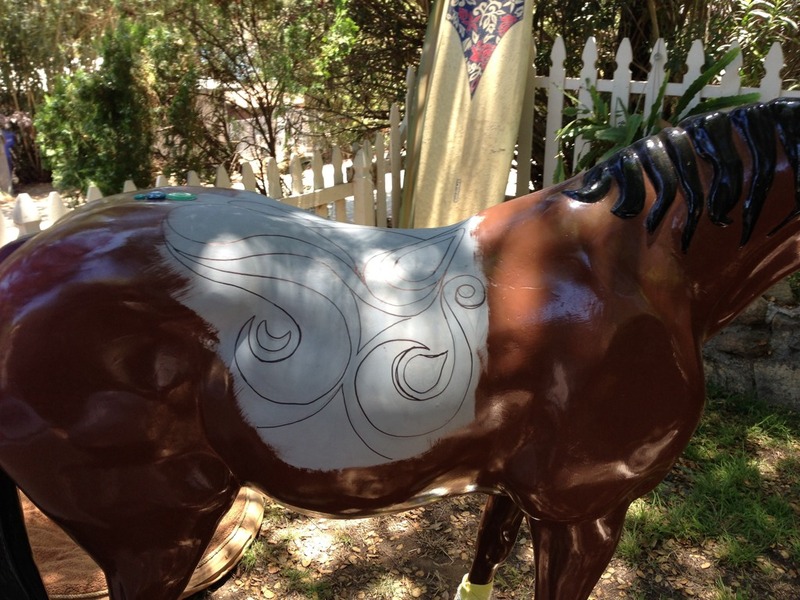 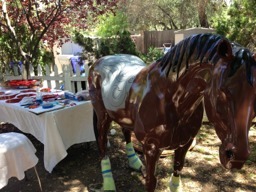 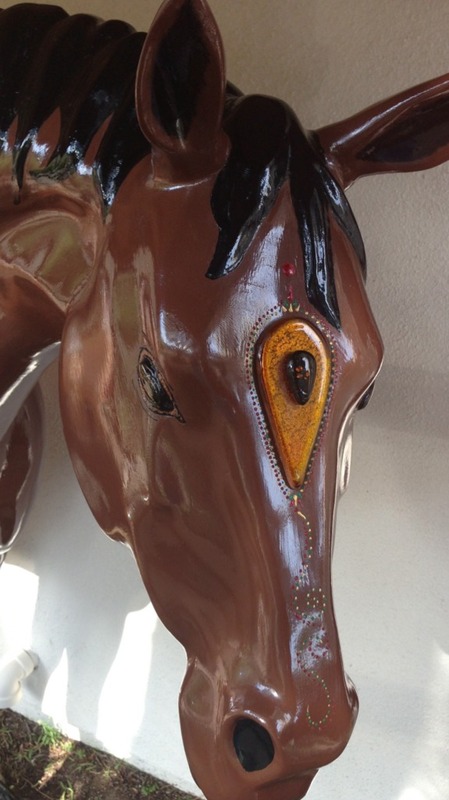 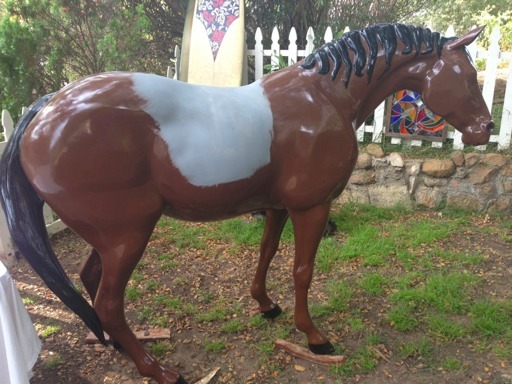 The horse was sanded, painted and a custom handcraft fused glass blanket was applied. 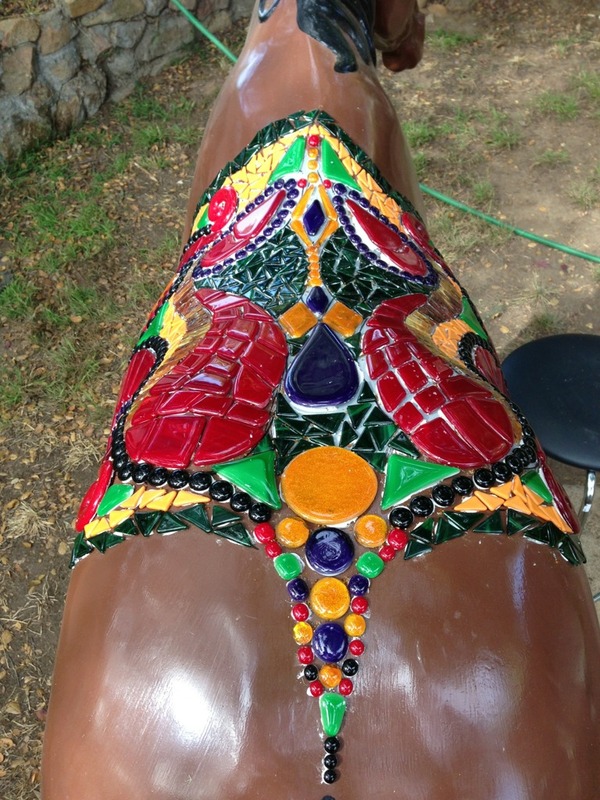 Additional glass accents and painted details were added to complete the project. 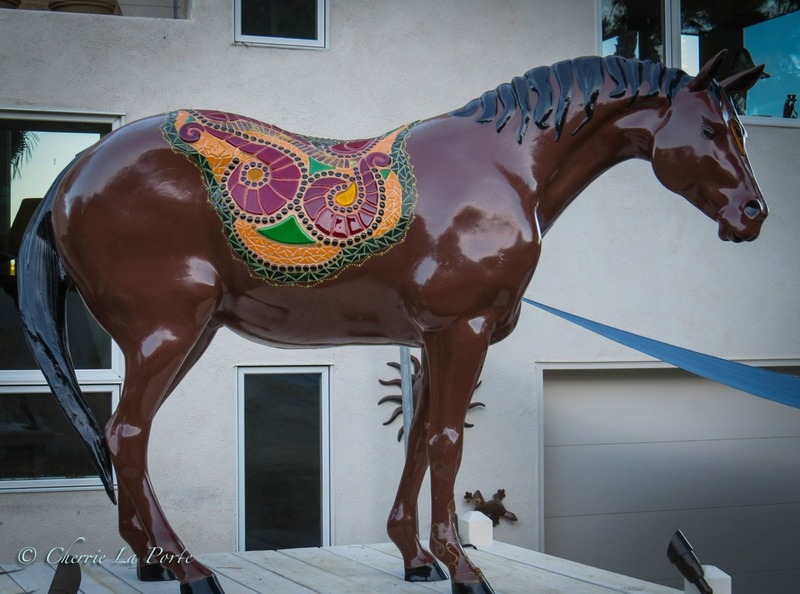 We named her “Sunset Jewel” since we recreated her into a stunning colorful bejeweled sculpture and she stands on display facing each sunset in Del Dios!! 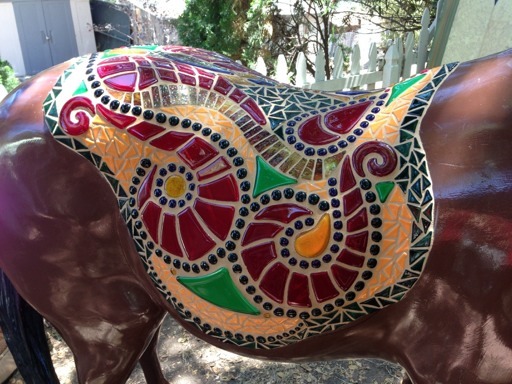 My beautiful artistic friend Etoile and I collaborated on this together! 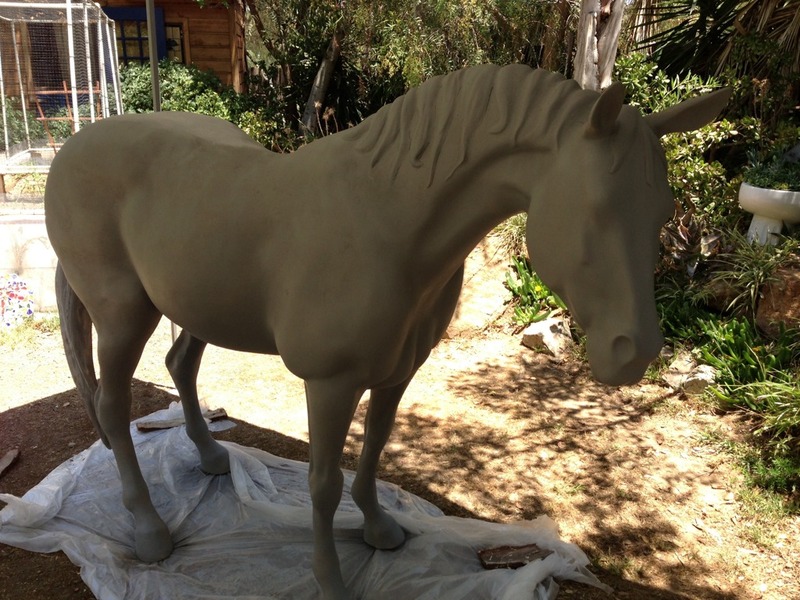 The outcome turned out truly stunning! 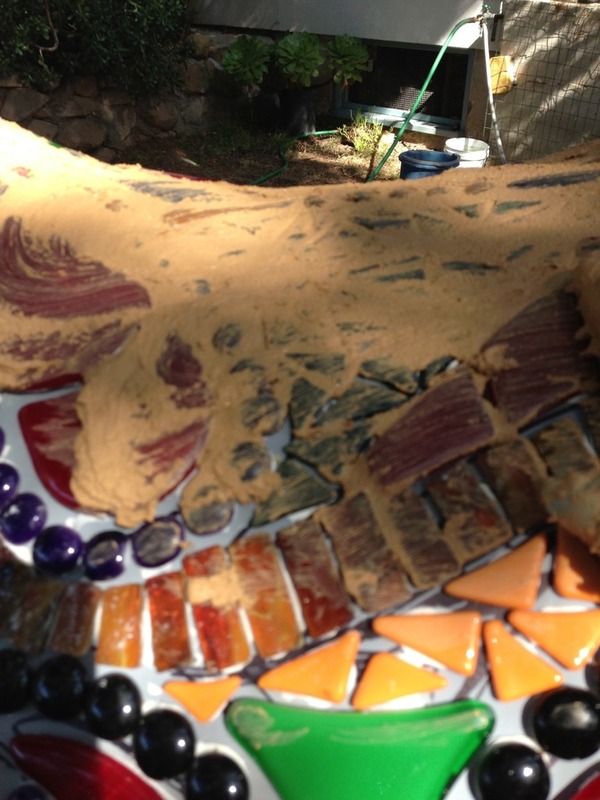 Take a look at the process below, click on images to enlarge & view in a slideshow. 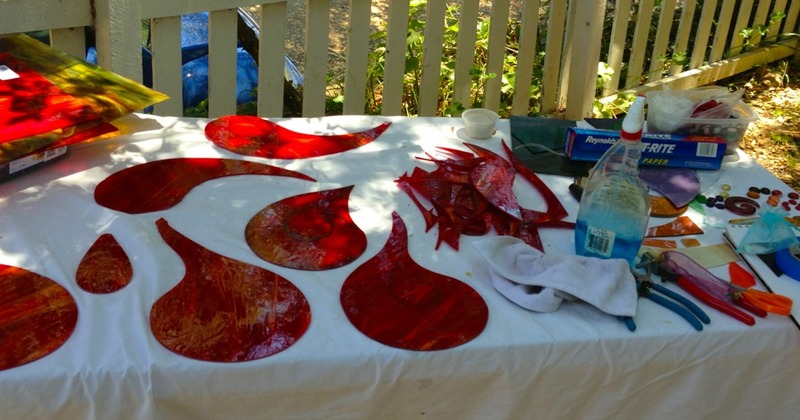 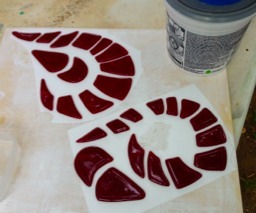 Continuing Glass Application, Getting Closer to Grouting! 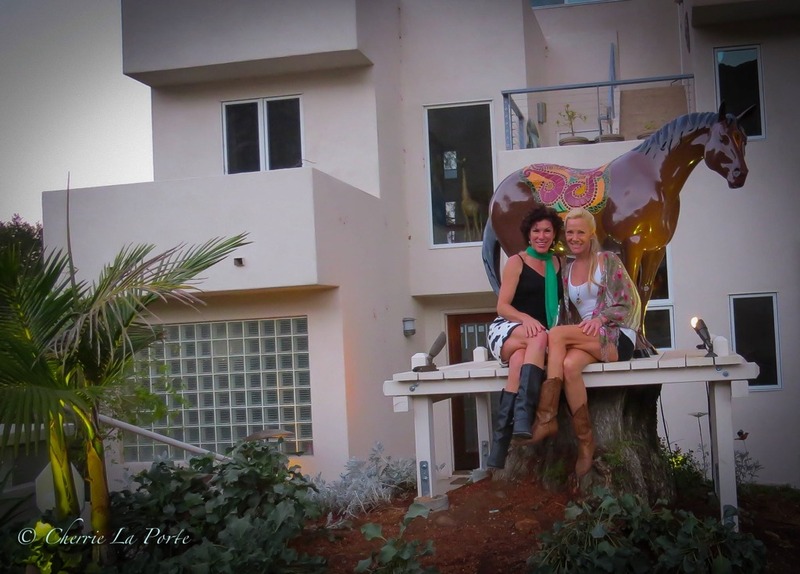 Contact Cherrie today to discuss your next project! 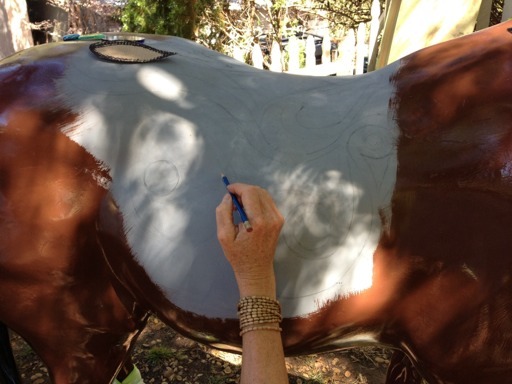 Tell Cherrie About Your Project Idea!